The N.Y.C. producer’s new track is a brilliant byproduct of years of live-set legwork. Brooklyn-based techno artist Via App (aka Dylan Scheer) has a penchant for nudging the genre out of its comfort zone. 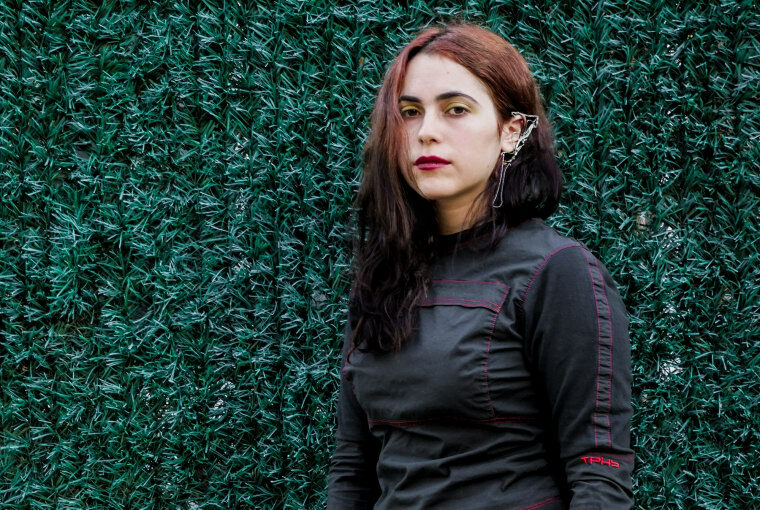 On "Con Artist," a standout from her new album Sixth Stitch, she veers her textures into the noise and dark electro scenes she cut her teeth on in New York and Boston. Any sense of melody in this seven-minute live cut is quickly unsettled by thudding, industrial breaks and haunted-house horn warps. Fittingly, in an email to The FADER, Scheer describes her new album aptly "as a series of uncanny disturbances stitched together towards an encrypted noir." What makes "Con Artist" truly dynamic, though, is the groove's responsiveness and careful evolution, something that can only be created by a longtime foot soldier of the live circuit like Scheer. Sixth Stitch drops on Break World Records on November 11 (preorder here).